Hurricanes are enormous cyclonic storm systems covering thousands of square miles which usually develop in the tropical or subtropical latitudes during the summer and fall. To be a hurricane, the system must be producing winds of 64 knots or more. Less intense storms are designated tropical depressions or tropical storms. Tropical storms and hurricanes are named to aid in identifying them. Each hurricane is, essentially, an organized system made up of hundreds of individual thunderstorms. The core of the hurricane is called the eye, an area of relatively benign weather several miles across surrounded by turmoil. All of the severe weather conditions produced by individual thunderstorms (heavy rain, hail, lightning, tornadoes, downbursts, etc.) are produced and magnified within the hurricane. Working together, such storms generate tremendous tidal surges which can decimate coastal areas. Historically, individual hurricanes have caused the loss of thousands of lives and billions of dollars in damage as they ran their course over populated areas. If you know that a hurricane is approaching your area, prepare for the worst. The important point is, GET OFF THE OPEN WATER AS FAR AWAY FROM THE STORM AS POSSIBLE! If this is impossible, keep in mind that the right front quadrant of a hurricane usually, but not always, produces the most violent weather. With today’s modern communication net to warn them, people have a better chance to reach safety before a hurricane hits their area. Even so, you may have little more than 24 hours advance notice to get your boat secured against the storm’s full force. Check the weather often. If you must move your boat, first inspect the trailer to ensure that it is in proper operating condition. Check tires (including spare), wheel bearings, tow hitch and lights.If you can, put your boat and trailer in a garage. If they must be left out, secure them to strong trees or a “deadman” anchor. Strip off every thing that could be torn loose by a strong wind. Increase the weight of your trailered outboard boat by filling it with fresh water and leaving in the drainplug (inboard boats must be drained to avoid motor damage). Insert wood blocks between the trailer frame and the springs for extra support with the added weight. If your boat must stay in the water you have three options: BERTH at a dock that has sturdy pilings and offers reasonable shelter from open water and storm surge. Double up all mooring lines but provide enough slack so your boat can rise with the higher tides. Cover all lines with chafe protectors (double neoprene garden hose cut along the side) at points where the line is likely to wear and put out extra fenders and fenderboards (the more the better). HURRICANE HOLES are ideal locations to moor your boat during a hurricane. These are deep, narrow coves or inlets that are surrounded by a number of sturdy trees which block the wind and provide a tie-off for anchor lines. The best location for a hurricane hole is one far enough inland to avoid the most severe winds and tides, yet close enough to reach under short notice. You may want to scout out a satisfactory hurricane hole ahead of time! Hurricanes are among the most destructive phenomena of nature, their appearance is not to be taken lightly. Advance planning cannot guarantee that your boat will survive a hurricane safely or even survive at all. Planning can, however, improve survivability and is therefore certainly worth the time and money to do so. Before Setting Out: Obtain the latest available weather forecast for the boating area. Where they can be received, the NOAA Weather Radio continuous broadcasts (VHF-FM) are the best way to keep informed of expected weather and sea conditions. If you hear on the radio that warnings are in effect, don’t venture out on the water unless confident your boat can be navigated safely under forecast conditions of wind and sea. This link will take you to up-to-date marine weather information. Keep an eye out for the approach of dark, threatening clouds which may foretell a squall or thunderstorm.Check radio weather broadcasts periodically for latest forecasts and warnings.Heavy static on your AM radio may be an indication of nearby thunderstorm activity. Keep away from metal objects that are not grounded to the boat’s protection system. Records are meant to be broken and we just broke a record of named storms (that would be four of them) before the end of June, the first month of hurrricane season. Now, as we approach the historically most active months of hurricane season we will be publishing a series of articles to further inform our readers of things they should know and do to survive a hurricane. Due to his or her vulnerability, the mariner’s images are even more vivid and threatening. This is probably true due to the fact that hurricane conditions have a tremendous effect upon the ocean. The ocean is no place for the recreational boater to be during the extreme conditions associated with a hurricane. Hurricane season runs from June 1st through November 30th of each year. This is no time to drop our guard. I’d like to start by reviewing some of the hurricane-associated terminology, and then discuss some specific preparations that mariners can take to help themselves and their boats survive the storm. Despite the fact that we are more then half way through this year’s hurricane season, we must continue to maintain our vigilance and forehandedness. It makes good sense to have a hurricane plan in place long before a hurricane is bearing down on us. When formulating our hurricane plans we must always keep in mind that “life always comes before property.” I strongly encourage that you heed all evacuation notices issued by your local county emergency management office regardless of the vulnerability of your boat. Due to the various levels of their intensity and the unpredictability of a hurricane’s track, I have found it very effective when formulating a hurricane plan to list all the possible options. Then, upon a hurricane’s approach, chose the options that best fit the particular circumstances. For example, if you own a trailerable boat, what would be some of the possible options to take in an effort to save your boat? You may want to tow the boat to a safe location outside of the path of the storm. Another option might be to keep your trailerable boat in your backyard, and with the manufacturer’s approval, fill the hull with water. In addition, it may be a good idea to put your anchor out right there in your backyard. If the storm surge reaches your property the anchor may help the boat stay in your backyard. Keep in mind, these backyard actions may stop your boat from being blown around, but it will not protect it from falling trees and flying debris. If it is a non-trailerable boat that you own, your best option may be to cruise to another part of the world during the Atlantic Hurricane season; the Great Lakes may be one option. Of course, this is not a viable option for most mariners. Some of the more common options may be to have one of the local marine dealers haul your boat out of the water and place it in protective dry storage upon the approach of a hurricane, or you may want to relocate your boat to a previously identified hurricane haven, or you may wish to reinforce your boat’s present moorings and put out extra mooring lines. The publication “Hurricane Havens Handbook for the Atlantic Ocean” (stock # ADA 116103.) can be ordered from the National Technical information Service, 5285 Port Royal Road, Springfield, Va. 22161 (703) 487-4600. I do not recommend that you get underway on your recreational vessel and head out to sea upon the approach of a hurricane to “ride out the storm.” Most boats are not designed to withstand the large seas and high winds generated by these severe storms. It is most important for all mariners to obtain a daily updated tropical weather forecast and plan their boating activities accordingly. Keep abreast of what is happening just over the horizon in our earth’s atmosphere. Most of those who earn their living on the water are familiar with the old adage “mackerel scales and mares’ tails cause tall ships to fly low sails.” Working far from shore, they know to keep a weather eye to cloud formations that portend incoming storms and a test of their seamanship. Recreational boaters can avoid boating in bad weather for the most part by checking the marine forecast before heading out and postponing their cruise until the weather improves. But once on the water sudden severe thunderstorms are still a hazard and can materialize out of nowhere. That’s when seamanship—the ability to pilot a vessel effectively under adverse conditions—comes into play. It is a skill acquired over time and involves a broad understanding of your vessel and how it handles in different situations and with varying loads. It also requires knowledge of wind, water and geography, information that can be gained both in the classroom and in on-the-water training. You and your boat need to be prepared at all times. Anchors and rodes should be kept in a state of readiness, along with life jackets and all other safety equipment. No two storm situations are alike. Many small boats are not designed or constructed to take a heavy pounding and the result can be structural damage that can cause the boat to break apart. In strong breaking waves, flooding and capsizing may occur. In beam seas (waves perpendicular to the side of the boat), excessive roll can cause your load to shift, creating a dangerous list. In following seas (waves coming from behind the boat), your vessel may lose stability on a wave crest; plus, if your speed is excessive, broaching may occur – a situation where the vessel runs down the crest of a wave, gathering speed, and buries its bow into the backside of the next wave. This frequently causes the boat operator to lose control and the vessel to veer sharply off course. In quartering seas, beam and following seas combine to create one of the most serious conditions a boater may encounter. In a sudden storm, your most immediate problems are limited visibility, high winds and – depending on your location – rapidly building seas. Try to remain calm. Have everyone dress as warmly as possible, put on their life jackets and, if possible, go below. Close all hatches, doors, watertight compartments and windows to reduce the amount of water taken on board. In an open boat, passengers should sit low in the bottom of the boat along the center line. Although you need to get your boat to the dock as quickly as possible, once waves reach a certain height, safety dictates that you match the speed of the vessel to the speed of the waves. That means slowing down a lot. The more you reduce speed, the less strain will be put on the hull and superstructure and less risk that portholes and windows will pop out or break. Keep your vessel at a 45-degree angle to the wind and make slow but steady progress to the nearest port. Stay away from rocky shorelines. If you’re far from port but have shelter available, such as islands and peninsulas, sheltering may be a good idea depending on the depth of the water and the condition of the shoreline. Just bear in mind that in most thunderstorms the wind direction will probably change. In a thunderstorm, winds generally blow outward from the area of heaviest rain. As the storm approaches, winds come straight at you. As it passes overhead, the winds ease off, then reverse direction. Understanding this pattern can give you a reasonable idea of how long you’ll be fighting the storm. In smaller boats, putting up on a sandy beach may be a good idea. If you perceive the situation as life threatening, it’s better to sacrifice the boat to save yourself and your family or friends. If you have passengers aboard, get everyone into their life jackets and foul weather gear now. Secure all hatches and close all doors, ports and windows to keep water out. Secure gear above and below decks; stow small items and lash down bigger ones. The weight of gear and passengers is especially important in smaller craft. Keep your load low and balanced. Ready any emergency equipment that you have on board: bailers, hand pumps, first aid kit, signaling devices, etc. Pump bilges dry and repeat as necessary to eliminate any sloshing of water as the boat rolls, which can effect stability. Get a fix on your position and plot it on your chart. Note your heading and speed, and the time. Chart your course to the nearest shore or dock. Monitor Channel 16 on your marine VHF radio for Coast Guard updates on the weather. Also, listen for distress calls from other boaters. You may be the closest one that can lend assistance. Ready your sea anchor or drogue in case it should be needed, but do not anchor the boat unless you’re in a narrow body of water, you’ve lost visibility completely and are in danger of washing ashore. Under those conditions, anchor your boat from the bow to keep the boat headed into the waves. Reduce speed and head your boat into the wind at a 45-degree angle to reduce stress and maintain better control. If there is lightning, keep everyone away from electrical and ungrounded components, and as low in the boat as possible. Switch to a full fuel tank, if possible. Maintain a lookout for floating debris, obstacles and other boats. If your vessel has a flybridge, operate your vessel from below if that is an option. If you’ve lost visibility temporarily, maintain a slow headway until visibility improves. On larger craft, rig jack lines and/or lifelines and require anyone who must go on deck to wear a safety harness, if available. If the incoming storm is extremely severe, review your procedures for abandoning ship, including sending a Mayday to Coast Guard Search and Rescue. If you have a life raft, have it ready to be deployed and stocked with emergency food and water. Be sure you have a sharp knife to cut it free from the boat. If you are in fear losing the boat, get everyone on deck and send a Mayday on your marine VHF-FM radio. Reduce your speed to the point where you can stop your vessel in half the visible distance. Instruct any passengers to help you keep watch – by sight and hearing – preferably in the bow. Begin sounding one long blast on your horn (4–6 seconds) every two minutes while under way and two long blasts every two minutes when stopped. Looking forward to relaxing on the boat with that ice chest full of cold beer? Better think again. Marine law enforcement officers participating in the 4th annual Operation Dry Water will be out in force the weekend of June 22-24, looking for boat operators whose Blood Alcohol Content exceeds the state limit [typically .08]. Expect increased patrols, BUI checkpoints, and breathalyzer tests, as well as educational displays and handouts. Operation Dry Water (ODW) is a multi-agency, education and enforcement initiative launched by the National Association of State Boating Law Administrators (NASBLA) in 2009 in partnership with the United States Coast Guard. It puts thousands of local, state and federal marine law enforcement officers on the water just before the Fourth of July weekend to give BUI enforcement high visibility before a holiday known for drinking and boating, and deadly accidents. Each year nearly one in five recreational boating fatalities result from alcohol use, and states have gotten tougher in enforcing laws against this high-risk behavior. Operating a recreational vessel with a blood alcohol concentration of .08 or higher is against federal and most state laws. Boaters caught operating under the influence will find their voyage terminated and their vessel impounded. Penalties can include arrest, fines, loss of boating privileges, even loss of driving privileges. Last year a new battery of testing standards for the first time allowed marine patrol officers to test boaters in a seated position and apply a percentage of probability that the subject is impaired at .08 blood alcohol concentration (BAC) or higher. With these new field sobriety tests now validated, law enforcement officials hope to be even more effective at stopping intoxicated boaters and to impress upon everyone that operating a recreational vessel while under the influence is too great a risk – to themselves, to their boat, and especially to others. All 56 U.S. states, trusts and territories are expected to participate in Operation Dry Water, educating the public and searching for boat operators whose blood alcohol concentration exceeds the national limit of .08. For more information on this annual event, visit http://operationdrywater.org. Boaters sometimes forget that fueling their vessel can be a bit of a challenge. To begin with, boats often have larger fuel tanks. Dock gas nozzles tend to pump fuel at a faster rate than those at automobile service stations. Plus, gasoline fumes are extremely volatile. Most fires and explosions on boats happen during or immediately after fueling, so take as much care as possible when you’re at the pump. Also, be sure to keep the marine environment clean by making sure fuel goes only in your tank and not in the water. Without precautions, fuel can drip off the nozzle, back-splash out of the tank, or discharge from the vent due to over-filling or expansion. All these small, dispersed sources can add up to a big pollution problem that threatens the enjoyment of recreational boating for everyone. It takes only a small amount of a spilled petroleum product to cause a film or sheen over a large area of water. And even after the sheen is gone, the persistence of fuel in the water continues to threaten the marine environment. It can kill fish and other aquatic life and cause long-term damage to the natural habitat. If you do experience a spill, regardless of the amount, be sure to report it to the U.S. Coast Guard National Response Center. It’s important to perform a quick clean up — and it’s the law. To report spills, call 1-800-424-8802 or 202-267-2675. The Center is staffed 25 hours a day, seven days a week. If you are filling jerry cans or portable fuel tanks, take them out of the boat and refuel them onshore. This is safer as it will stop dangerous fumes from building up on your deck and around your boat. Before fueling inboard tanks, close all hatches and other openings to prevent fumes from getting into interior spaces of the boat. To avoid air locks and sudden spills, be sure your boat is level when refueling. Put passengers ashore or level your trailer if refueling at a service station. Be sure you have a fire extinguisher within reach when filling up. Extinguish cigarettes and any other smoking materials or flame. Turn off engines, all electrical equipment, including radios, stoves, and other appliances. And never use a cell phone when fueling. Static electricity can create a spark. Turn cell phones completely off. Do not rely on hands-free or automatic shut-off features. Attend the nozzle at all times, and never fill your fuel tank to the top. Fuel will expand as it warms up, especially in warm weather, so be sure to allow room in your tanks for this expansion to avoid leaking fuel into the water. Let’s keep our marine environment clean. If you have a metal fuel tank, maintain nozzle contact with the fill pipe to prevent static spark and spills. Hold an absorbent sheet under the nozzle to catch any drips, and be sure to wipe up any spillage that should occur. After fueling, be sure to secure the filler cap to prevent fuel from leaking or water from entering the tank. Before starting the engine, run the blower for at least four minutes and check the bilge for any fuel vapors. Open all ports, hatches, and doors to ventilate. Do the “sniff” test. Make sure there is no gasoline odor anywhere on the boat. If there is, don’t start the engine. Instead, continue ventilating and checking for possible leaks. The original article below was posted as a boating tip at http://boatsafe.com. 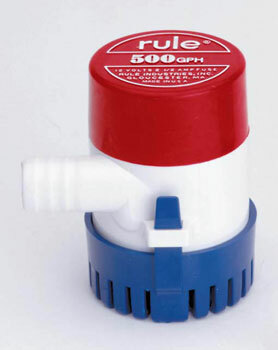 It caught the attention of one of our readers who adds some additional information about checking and using the bilge pump to keep salt and sand build up from happening. I was reading through your archives specifically the section about bilge pumps. I agree with testing the pump(s) but I go one further. I boat in salt water, so I thoroughly rinse my boat as soon as we get home EVERY time. Once most of the deck has been rinsed, I switch my bilge to AUTO and have my wife or daughter plug the drain hole for a moment letting the fresh water fill the bilge until the pump comes on. Not only is this a good test of the switch, but runs fresh water through the pump rinsing out the salt and sand that would otherwise remain and eventually damage the pump. Recreational boating fatalities rose to 758 in 2011* – a 12.8 percent increase over 2010 and the highest number on record since 1998. Boating under the influence of alcohol (BUI) is a major cause, accounting for a disproportional number of deaths. Alcohol ranked seventh as a contributing factor in boating accidents overall, but was the #1 contributing factor in fatal accidents, where it figured in 16 percent of deaths. *Source: U.S. Coast Guard 2011 Recreational Boating Statistics.